On 3rd October 2018 James Cook University, Singapore, signed a Memorandum of Understanding (MOU) to facilitate the establishment of a Centre of Innovation in Aquaculture. The MOU was signed between JCU, NUS, NTU, Republic Polytechnic, Temasek Polytechnic, Ngee Ann Polytechnic, Agri-Food & Veterinary Authority and A*STAR (Agency for Science, Technology and Research) under Temasek Polytechnic’s coordinating efforts. The MOU was signed during the Opening Ceremony of AquaSG’18 Conference at Temasek Polytechnic which was graced by the Guest of Honour, Mr. Zaqy Mohamad, Singapore Minister of State, Ministry of National Development & Ministry of Manpower. 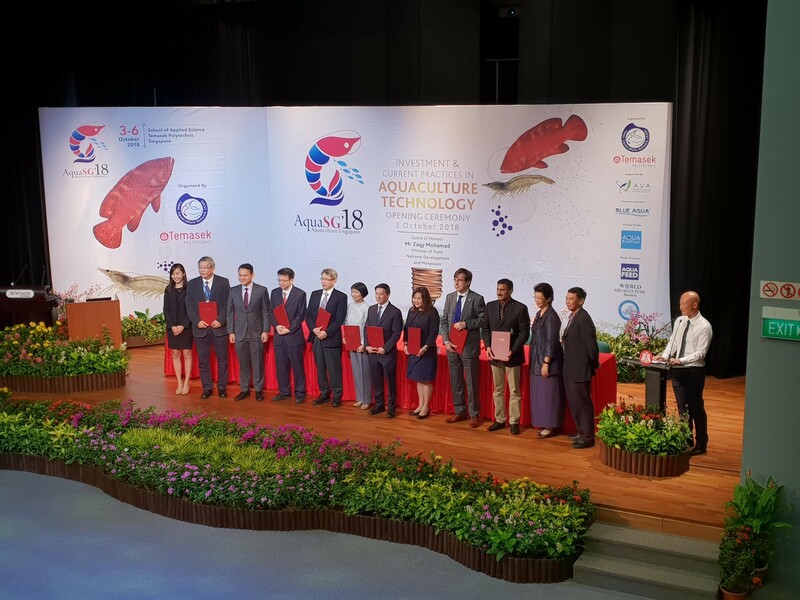 The Centre of Innovation in Aquaculture MOU was signed so that all institutions under the MOU can collaboratively pursue projects and develop training programs that increase the capability of the Singaporean aquaculture industry to produce high-quality and larger volumes of farmed seafood. A core component of the MOU is for institutions to share infrastructure and facilities for the purpose of joint training and applied research. The parties also agreed to create opportunities for increased knowledge creation through joint conferences and workshops and to facilitate staff exchange and attachments. “The COI MOU puts JCU in the top tier players within the Aquaculture capability sector and enables us to work with industry and government agencies to create a better and sustainable aquaculture sector in Singapore and the region”, said Associate Professor Abhishek Bhati, Campus Dean, James Cook University, Singapore. The Centre of Innovation in Aquaculture aims to boost local aquaculture productivity to better meet the local consumption needs through innovation and technology. 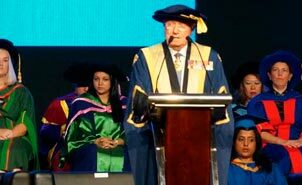 By signing the MOU, JCU has further displayed its commitment to apply its world-leading research capability towards helping the local aquaculture industry. 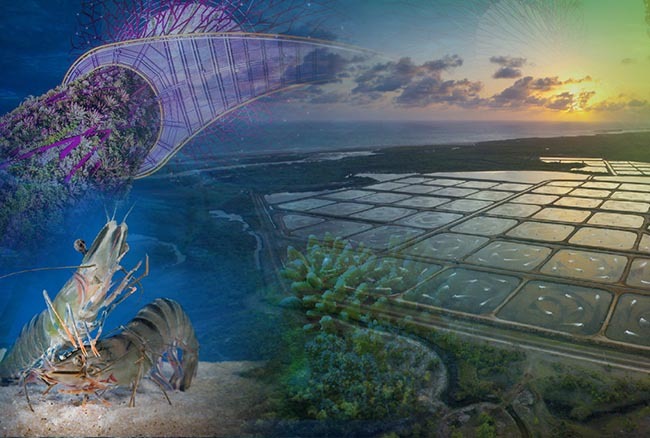 On 27th September, JCU also launched the Tropical Futures Institute in Singapore, with aquaculture as the first research pillar. 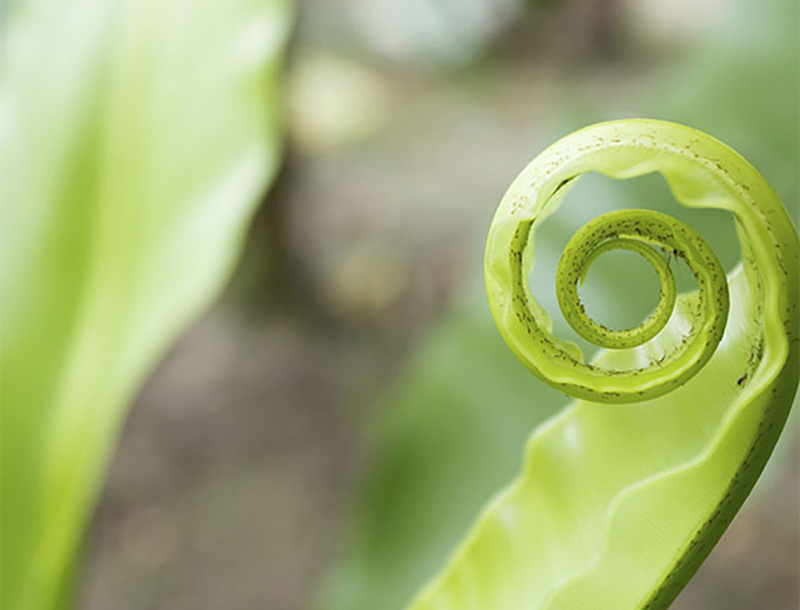 With world-class experts in aquaculture genetics, nutrition, hatchery and aquatic animal health, JCU’s research team is ready to partner with commercial, industry, government institutions, universities, polytechnics and other stakeholders, to conduct high-quality scientific R&D.